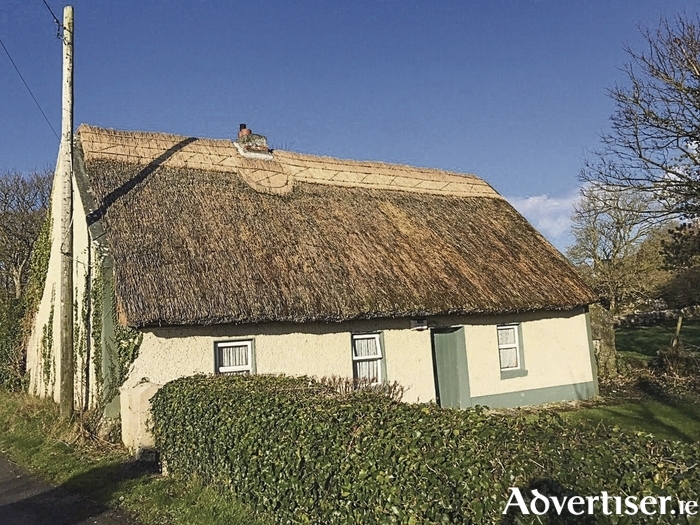 Mullery auctioneers is currently offering for sale a traditional thatched cottage boasting a prime location adjacent to the Shore Road in Maree. This charming property comprises a one bedroom cottage with garden to the front, gravelled yard and outbuildings to the rear, and a field. The property extends in all to approximately 0.1385 hectare/0.34 acre. The cottage, which is well maintained, has a living room with oil stove and vaulted timber panelled ceiling. Off the living room is a small kitchenette and shower room. On the opposite side of the living room is a bedroom. The property is ideally situated about two miles from the bustling village of Oranmore which enjoys all necessary services and amenities including supermarkets, shops, bars, restaurants, hotels, schools, and church. Renville Park, Galway Bay Golf Club, and Galway Bay Sailing Club are all close by, as is Maree village which offers a shop, school, church, and community centre. The property offers enormous potential in this stunning location. Viewing is highly recommended and can be arranged by appointment with Mullery auctioneers.